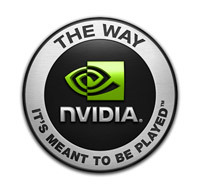 Let's start first with an explanation of an nVidia principle regarding the GPUs programming languages. Despite the fact that the ARB has decided to abandon the "assembly language", preferring instead the GPU programming, nVidia keep on maintaining it as new functionalities are added. On the other hand, the GLSL has become essential and naturally the language had to be adapted with this new video card. Hence, we find ourselves with a duplicate of a few extensions, among which half will be useful for some rash guys and eventually for Cg compatibility. 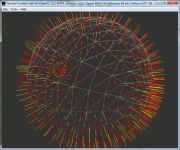 In the first category, we find NV_geometry_program4, NV_vertex_program4, NV_fragment_program4, NV_gpu_program4, NV_parameter_buffer_object, and in the second one, we have EXT_bindable_uniform, EXT_geometry_shader4 and EXT_gpu_shader4. Page generated in 0.0021231174468994 seconds.